How to help dogs in Diwali? Festivities, so often, are a dreaded time for our furry friends. Diwali, synonymous with lights and crackers, takes a toll on countless cats and dogs, among other animals like human beings. From the pestilent fumes that get engulfed by the child labor employed in Sivakasi to the plight of heart patients, smoke and sound aren’t always cherished. The blitzkrieg, however, will go on despite monitoring agencies warning of the unprecedented increase in levels of pollutants. Also, See Happy Noise-free Diwali! 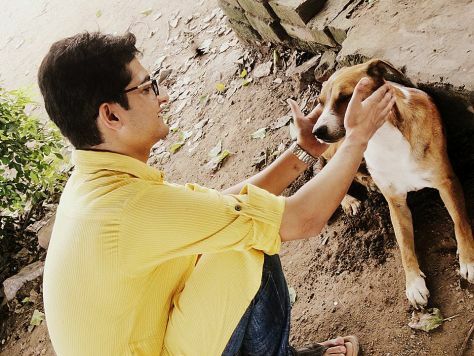 How to help dogs this Diwali? – A cracker free Diwali for dogs. The true essence of a festival is in spreading the love. With the same idea, here are some tips for having Diwali celebrations with a concern for the cats and canines, the canary and the cows. Ask the naysayers to at least burst crackers in a limited and a centralized location so that animals can be kept off it during the fireworks. Take your dog for a walk during the day before the fireworks begin. Lower the windows to cease the aftermath of cracker bursts. Turn up the volume on the television or radio to help shield the noise. Help any animals on the road into your garden or garage and put food and water for them. Put posters in your society/school/college/office notice board to be kind to stray animals. Keep a list of local NGO contacts/municipal boards/ vet(s) in case you find an injured animal in your locality or on the road. Keep a first-aid kit ready with you too. The loose hanging electricity cords used for decoration may tempt the dog as playthings and they run a risk of getting entangled or electrocuted. Keep them off reach from your pets. Lamps and candles should be kept out of a pet’s reach to avoid accidental fire or burns. Here’s wishing everyone a happy Diwali! Lovely blog post, Calvy boy! Here’s hoping people draw inspiration and say no to crackers for good. Super post. It hurt me to see the condition several stray dogs were in last night. Not much of a happy Diwali for them! I was glad to see some of them taken indoors by a helpful security guard. Pingback: Because dogs are brothers too!